Landed In Luxury is a Luxury Lifestyle Brand that creates and executes luxury experiences, services, travel, event productions and brand awareness. Our mission is to provide our clients with the best service possible when called upon for your every need. Over twenty years of experience has allowed our team the opportunity to create one-of-a-kind collections for the individual and/or company seeking great comfort and for those who expect seamless service. We plan, design, brand and execute making sure every request is met with complete satisfaction. 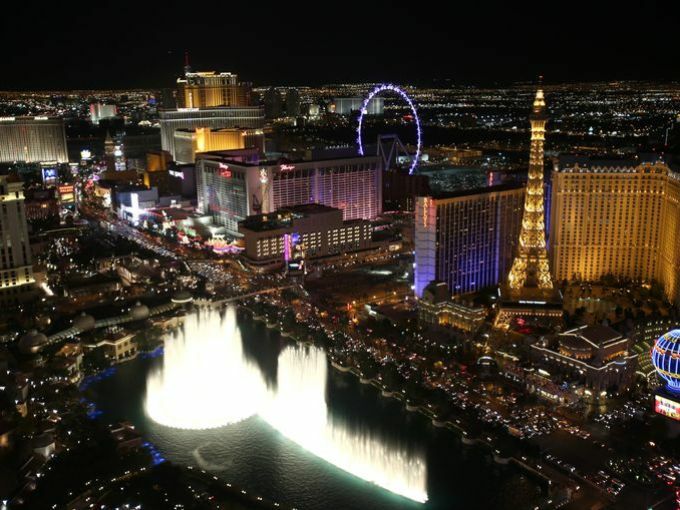 Services are currently available throughout the United States; with a focus on Las Vegas. When designing our luxury experiences we had a number of individuals in mind. The art collector, athlete, shopper, sports fan, beauty connoisseur, foodie, mixologist, adrenaline chaser and fitness buff. Our services are state-of the-art and tailored to your specific needs. We provide on-call personal assistance, music consulting, tour production, executive protection, wedding planning, beauty professionals and a top-notch disinfection program for your home, tour bus, office, yacht and/or jet. And those are just to name a few. Attending an event should be the best experience you share with friends and coworkers and we create that. We have an in house production team, a wide range of musicians and the best brands who we strategically place to enhance the overall atmosphere of every event we produce. Our focus is to align, design and most importantly turn your vision into a reality. Branding is a necessity for every business. Our highly dedicated and qualified team will provide brand integration for your product or business within an array of current films, tv shows, music videos, award shows. Celebrity endorsement services can also be provided upon request. Interested businesses may contact us here and visit our LinkedIn Company Page for up to date product placement opportunities. Luxury Travel is where Landed In Luxury began and the backbone of our company. We offer private jet travel with in-flight services, helicopter flights, yacht charters as well as hotel accommodations and concierge. Branding and advertising services are also available on requested charters. For all up to date launches, news and announcements please follow Landed In Luxury on our social media pages below. Landed In Luxury is here! After ten years of research, networking, traveling and sleepless nights I can officially say that Landed In Luxury is here. Please visit and click around on my new site and let me know what you think! You can also find Landed In Luxury on Facebook, Instagram and Twitter so be sure to follow. Landed In Luxury is a boutique luxury concierge business that offers a unique collection of Luxury Experiences and Services for the individual who seeks great comfort and extravagant living. Las Vegas was the first city to launch and now Luxury Experiences are available throughout the US and have recently expanded into Europe. You will find that some Luxury Experiences are more elaborate than others however; they all have one common theme which is Service. Every Luxury Experience created will be customized specifically for you and will always include 24/7 personal assistance to insure the most excellent service throughout each experience. The Collection currently offers experiences in Luxury Travel, Fashion and Beauty,Private Aviation, Hotels and Venues. Event and Wedding Planning, Sporting Events, Popular Attractions and Shows. The Collection is consistently growing so check back frequently and contact us with any questions that you may have. What is Luxury? Luxury is the state of great comfort and extravagant living. The Collection of Luxury Experiences offers a unique selection for you to enjoy and allows you the comfort that you deserve. Las Vegas is the first city to launch and now Luxury Experiences are available throughout the US and expanding soon to Europe. The Collection currently offers experiences in Luxury Travel, Fashion and Beauty, Private Aviation, Hotels and Venues. Event and Wedding Planning, Sporting Events, Popular Attractions and Shows. The Collection is consistently growing so check back frequently and contact us with any questions that you may have. I am so excited to announce the launch of one of my most exquisite luxury experiences to date. The Maison Francis Kurkdjian Fragrance Experience. If you know me personally then you know my love for impeccable fragrance. To partner with such a well-known luxury brand is honestly a dream come true and I am honored to be able to share this with you today. Experience the world of refinement and sensuality with your very own Francis Kurkdjian fragrance experience. This exclusive and private event will take place in the most polished and sophisticated setting located on the world-famous Las Vegas Strip. Maison Francis Kurkdjian houses a unique fragrance collection, with a rarely matched quest for sophistication and elegance. Their luxury is a commitment to quality and authentic knowhow, from the selection of the purest and rarest essential oils, to the infinite attention brought to every detail. Enjoy the afternoon learning all about the impeccable Maison Francis Kurkdjian Collections such as OUD, APOM and Aqua Universalis. Champagne and small bites will be served throughout your event as an added appreciation. At the end of your event you will take away a fragrance of your choice as well as other hand selected custom gifts. Fragrance bottles may also be engraved with your initials, brand or logo. This added feature is truly personal and better yet; gifted for that special someone. To enhance your experience of luxury even further; an exclusive handbag, jewelry and skin care experience may be incorporated into this private event. Specific brands are available upon request. This experience is perfect for couples or groups and can be followed by our Canyon Ranch Spa Experience. A custom suit is the signature piece of any wardrobe. The H.M. Cole Custom Suit Experience is more than just shopping for a suit. It’s a sophisticated experience with a Personal Clothier unlike any other. Your consultation is done in the comfort of your own home or convenience of your hotel room. 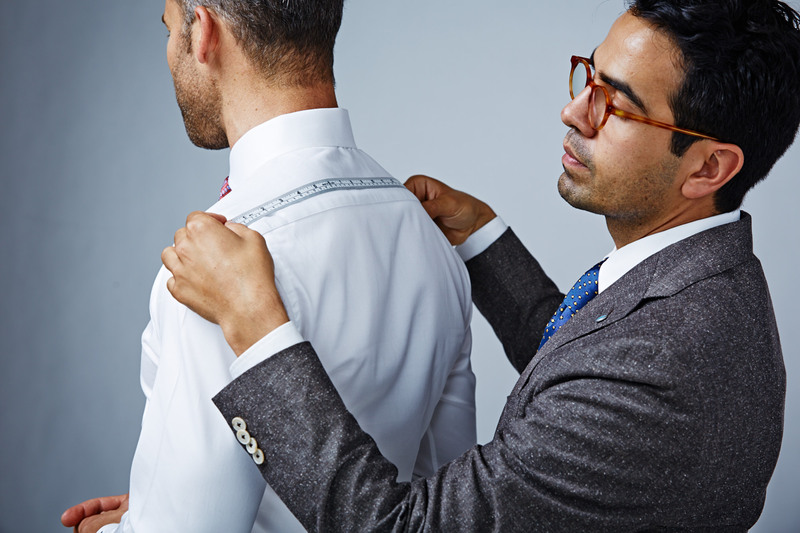 Precision is key when designing a custom-made suit. 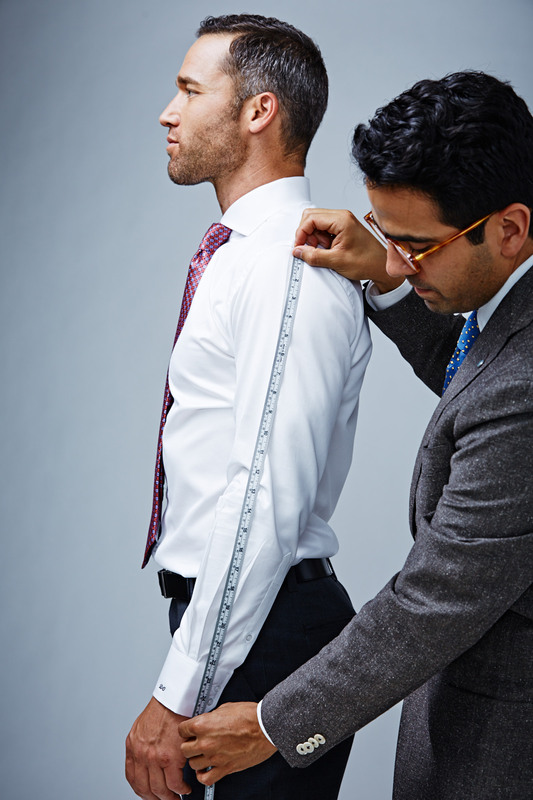 Your Personal Clothier will take 28 measurements and body specifications in order to create your custom wardrobe pieces. Once your order is complete it will be personally delivered to you within an aggressive timeline of 1-2 weeks. H.M. Cole specializes in crafting custom clothing for all aspects of your life; professional attire, casual wear, formal dress and even outerwear. Your Personal Clothier will advise and help you with every aspect of your custom piece: colors, styles, collars, fabrics, and individual details. H.M. Cole products are handmade, scissors to cloth, using no machine cut patterns or computer automated design (CAD) systems. Whether you are a Las Vegas local, in the city on business or traveling throughout the country an H.M. Cole Personal Clothier has the ability to work with you at any time and place. This experience is perfect for wedding parties and Businessmen on the go that appreciate both fashion and service. I appreciate all outlets of Social Media and can be found on them at any time throughout the day. Living in Las Vegas the last two years has truly been an adventure. And one I honestly NEVER thought I would get to experience! Running up and down the world-famous Las Vegas Strip, prepping private jets hidden in hangers, sitting in meetings at some of the finest properties, looking for the closest outlet to charge my phone or glued to my laptop for 12 hrs. This would be a typical day for me. If you are on Instagram, planning a trip to Vegas or just interested in what Sin City has to offer then please feel free to say hello and follow me here…http://instagram.com/kkinvegas. Celebrity Coffee Chef and Luxury Coffee Specialist Bryan-David Scott announced today plans to expand partnership opportunities with Food Network favorite Celebrity Chef Chef Anton Testino. “Anton is one of America’s greatest Italian chefs. We share a passion for cooking, helping kids, families and our veterans. We are proud to be American culinary artists representing our respective coasts. I am looking forward to our West Coast tour together,” said Scott. Beverly Hills and Las Vegas details are being managed by private aviation specialist turned luxury lifestyle concierge Kelly Ann Gorman. * Repost from Cup of Luxury.